Our Refrigerated foundations are economical, energy free, low maintenance and long lasting and provide Permafrost Preservation. 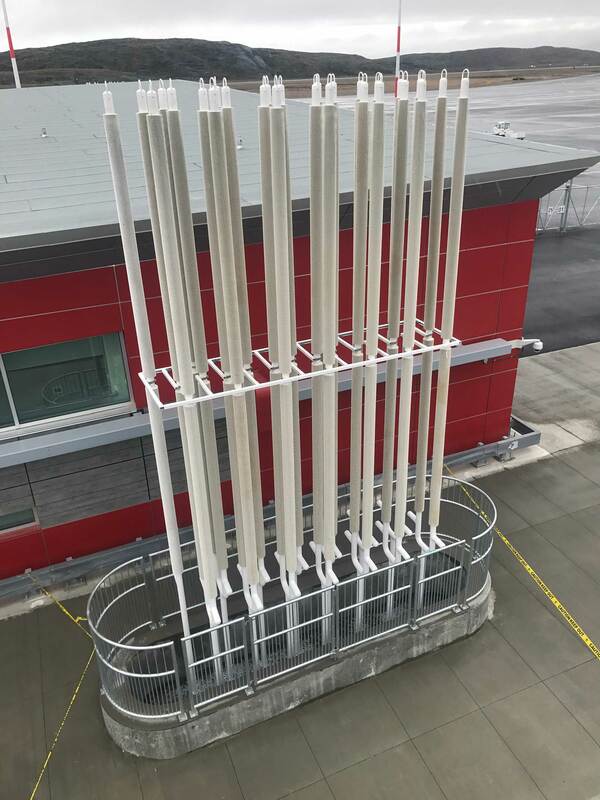 Arctic Foundations of Canada manufactures permafrost foundation systems incorporating thermosyphons under the trade names Thermo Piles and Thermo Probes. 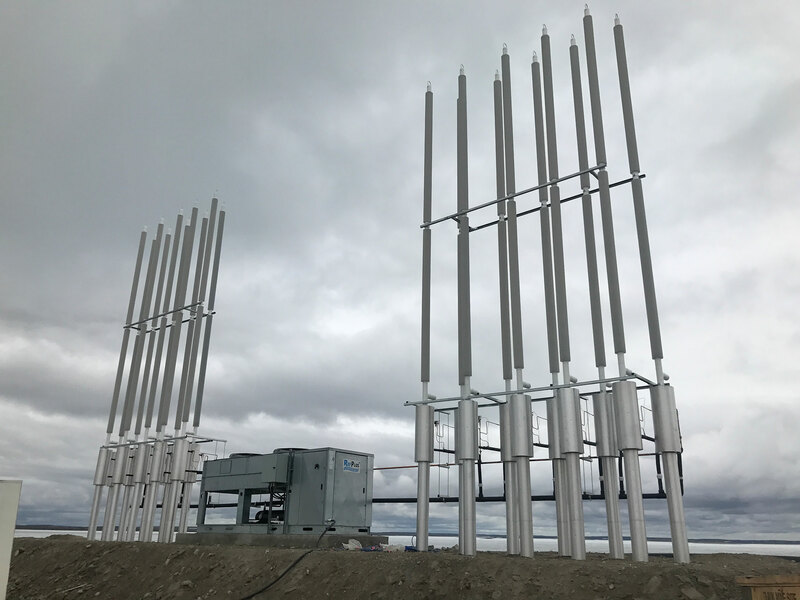 Our passively refrigerated foundations systems for use in permafrost soils are the original and most widely used in Canada and Alaska. These foundations are economical, energy free, low maintenance and long lasting. 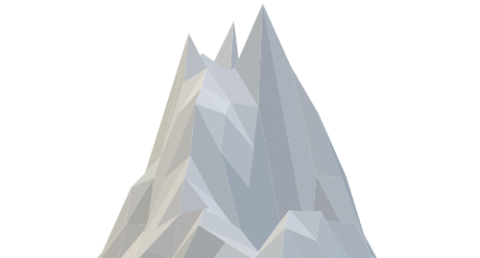 Collectively the three principals have over 90 years of experience in constructionand engineering in the arctic ranging from Alaska in the west to Baffin Island in the east and Alert in the north. All three are actively involved in the hands on process of design, estimating, manufacturing and field work probiding continuity throughout the project. 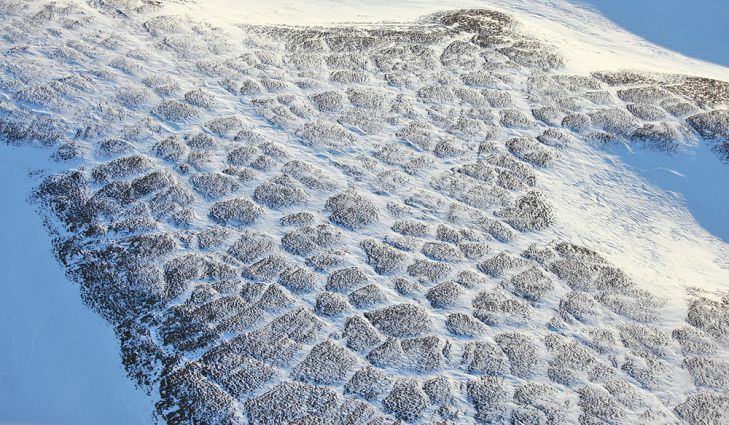 Arctic Foundations prides itself in providing quality products and workmanship and backs this up with guarantees. Two-phase thermosyphons are passive refrigeration devices that transfer heat against gravity. Construction is typically a closed ended tubular vessel charged with a two-phase working fluid. 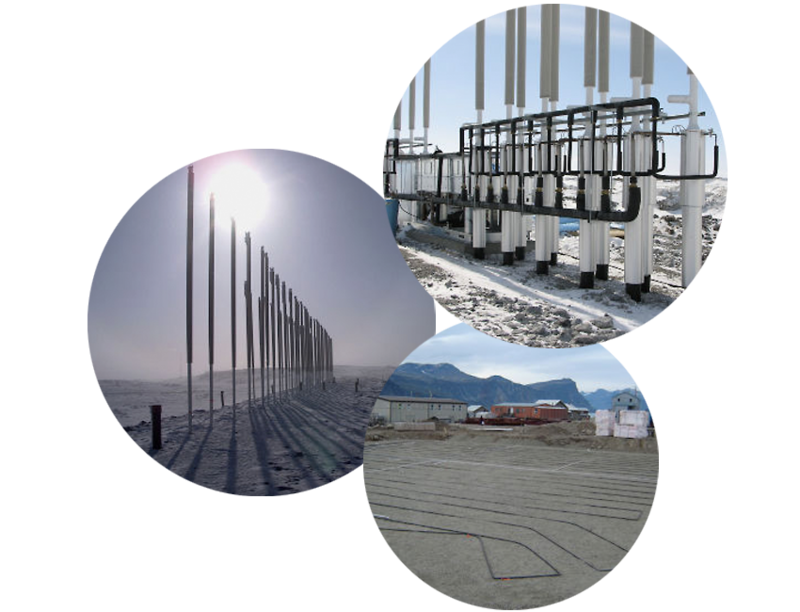 Thermoprobes are non-structural high-capacity two-phase thermosyphons that are used to provide passive refrigeration to maintain or create permafrost.